A Yankee swap is a popular way to exchange presents with friends, family and colleagues. 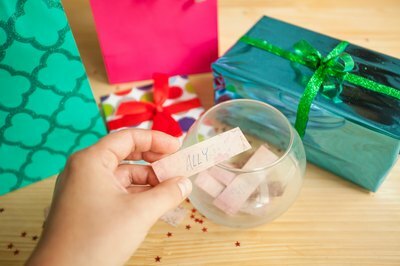 Gifts range from expensive to inexpensive, even offering guests the chance during a white elephant Yankee swap to unload atrocious items they've received in the past while spending time with people they want to party with. A well-organized Yankee swap party features food, drink, lots of laughter and, sometimes, a bit of stiff competition for the most desirable of the presents. Prepare your guests for the swap party by sending an invitation that clearly explains how the party game is played. 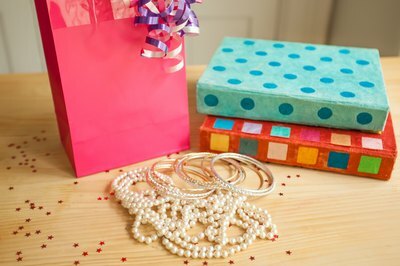 Ask guests to bring wrapped gifts to exchange at the party. Gifts should not be labeled in any way, and the identity of the giver should be concealed. Set a firm time for arrival -- an hour before the game begins. This will give you plenty of time to set things up while your guests mingle. For a twist, ask guests to bring themed presents for the Yankee swap. Possible themes include ornaments, gag gifts, or white elephant items. 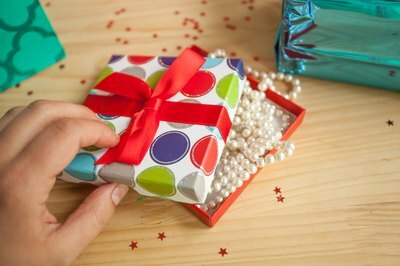 For a white elephant swap, ask that they bring an old gift received in the past but never used or opened. Everyone will enjoy seeing which cast-off presents become coveted prizes during the game. Ornament swaps are suitable for Christmas parties. For a gag gift swap, ask each guest to bring a wrapped gag item costing from five to 10 dollars. 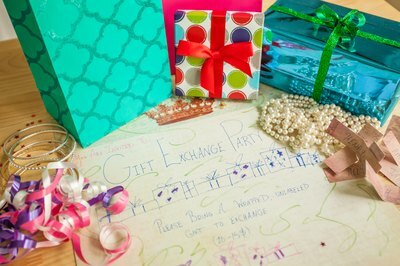 To set up the swap, collect all of the wrapped presents as your guests arrive. Put them on a table or rug in the center of a room with plenty of seating all around. Ideally, you should be able to set up enough chairs in a circle so everyone can see each other and the gift pile at the same time. Count the number of guests and write numbers on slips of paper, which will be placed in a bowl. As people sit down to play, ask them to choose a number to determine the playing order. To begin playing, the first player chooses any gift she likes from the gift pile. If it's a white elephant swap, have the person who brought the gift tell the item's history after it's unwrapped. The second player can then either choose another gift from the center or decide to steal the first unwrapped gift. If the first unwrapped gift is stolen, then the first player gets to choose a new present from the pile. This continues until everyone has had a turn. The game is over when everyone has a present to take home. 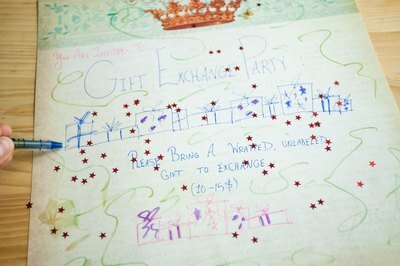 Yankee swaps can become a bit rowdy as soon as stealing begins, which makes the game appealing.